Incoming CEO David Taylor, who takes over from the well-regarded A.G. Lafley, will not have it easy in the early going. Updated to include fourth-quarter sales and earnings results. NEW YORK (TheStreet) -- Procter & Gamble (PG - Get Report) may be burdened with far fewer slow-selling brands nowadays, but that doesn't mean it will be smooth sailing ahead for the consumer products giant and its recently named CEO, David Taylor. For proof, look no further than the company's fourth-quarter results, which were released on Thursday morning. P&G, the world's largest consumer products company, reported that net sales plunged in all five of its business segments, with the most acute fall coming in grooming, where sales declined a staggering 18%. 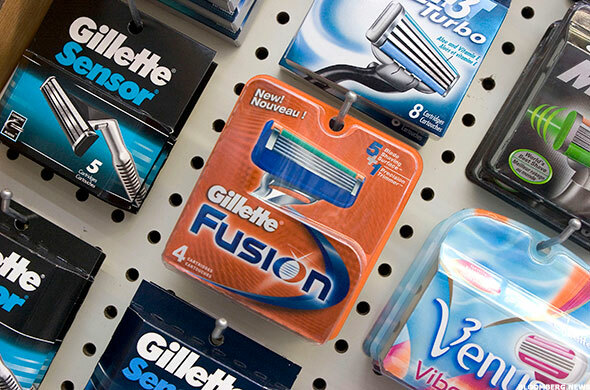 P&G pinned the blame for the steep sales drop there on the fact that customers are replacing their razors less frequently. The company said sales declines in the other business segments largely reflect the impact of the strong U.S. dollar, but generally lower sales volume seemed to show that consumers were balking at price increases. Net sales for the fourth quarter tallied $17.79 billion, missing consensus forecasts for $17.98 billion. Excluding one-time items, earnings were $1.00 a share, beating forecasts for $0.95 a share. Shares fell about 3.5% in early trading on Thursday. Another disappointing quarter of sales for Procter & Gamble, and the uncertainty surrounding its strategy to divest brands to ignite stronger profits, led to a contentious call with analysts in which current P&G chairman and CEO A.G. Lafley was grilled about whether P&G is still too large to manage efficiently. P&G confirmed late Tuesday that the veteran executive Taylor will become its next CEO on Nov. 1, replacing the well-regarded Lafley. Taylor is currently P&G's group president for global beauty, grooming and healthcare, and has been with the company for 35 years since joining as a production manager in 1980. He has been seen by many as the heir apparent to Lafley since January, when he was given oversight of the beauty business in addition to grooming and healthcare. Those two businesses together account for more than half the company's sales. Lafley will remain as chairman of the company's board to ensure a smooth transition. 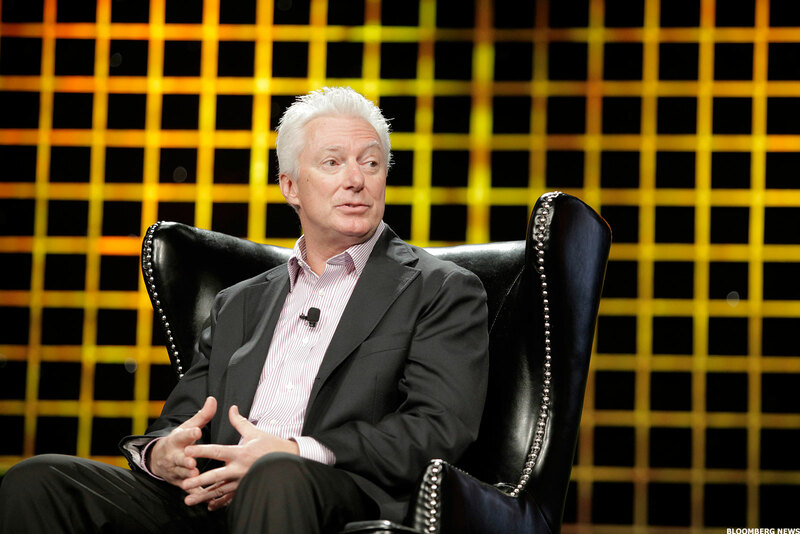 The departure by Lafley, pictured above, as P&G's CEO will be his second time leaving the top role. In July 2009, Lafley stepped aside as CEO, ending a nine-year stint leading the company. At that time, Lafley handed the reins over to long-time P&G exec Bob MacDonald and then assumed the chairman position until February 2010, when he ceded full control to MacDonald. MacDonald fumbled in the new position, however, failing to deliver high-quality earnings reports and innovative new products that enticed consumers. In what was a blow to his ability to groom a successor, Lafley swooped back in to re-claim the CEO spot from MacDonald in the summer of 2013. Lafley's subsequent dismantling of the huge consumer products company he built up from 2000 to 2009 does leave a stain on his resume. Wall Street may have some reservations about Taylor's readiness to assume the top role. Nevertheless, P&G's portfolio makeover since 2013 has been striking. 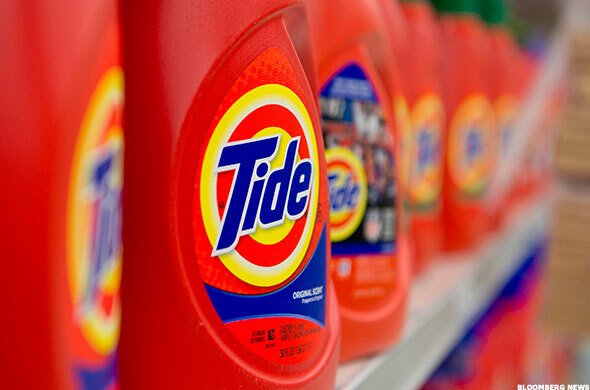 P&G, which makes Tide laundry soap, Crest toothpaste and a plethora of other packaged goods, will sell to Coty well-known hair care and cosmetics brands such as Miss Clairol, CoverGirl and Max Factor. The deal also includes P&G's retail hair color and fine fragrance businesses. The sale of Clairol is a particularly embarrassing move for Lafley. In May of 2001, Procter & Gamble agreed to acquire the Clairol hair care and coloring business from Bristol-Myers Squibb (BMY - Get Report) for $4.95 billion in cash. Lafley told the New York Times in an interview that missing out on Clairol would be "unacceptable." It was mostly under Lafley's watch that P&G shelled out roughly $80 billion over the past two decades to buy an array of businesses that dominate supermarket shelves. Now, the company is reversing course to focus on lifting sales of Tide detergent and Pampers diapers. The plan is to divest the company from about 100 brands, leaving about 65 in the P&G portfolio. The maneuvers by Lafley to shrink P&G are a sharp reversal of the 178-year old company's founding philosophy to have strong market share positions in numerous products that appear in supermarket aisles. Remember, P&G's early products developed by founders William Procter and James Gamble in 1837 were rather diverse -- soap and candles. Through the years of being led by non-family members, P&G's portfolio has been enhanced by things like the first-ever shampoo Drene and Charmin toilet paper. In large part, the philosophical change to focus capital on the biggest brands consumers are shopping is borne from the necessity of improving financial performance and circumventing challenging industry conditions. From Procter & Gamble's fiscal year 2009 to 2015 reporting period, net sales grew only 3.7% and net profit margins fell from 14.2% to 11.7%. Organic sales growth, which excludes the impact of acquisitions/divestures and offer exchanges, gained a modest 1% in fiscal year 2015. According to tracking data from Nielsen, beauty care unit sales at major retailers and convenience stores have declined for two straight years, falling 0.1% for the 52-weeks ended July 27. Two years of unit declines have also been logged in the dish and laundry detergent categories. The lone bright spots, at least this year, have been unit sales of cosmetics and household cleaning products, where gains have tallied 1.8% and 0.7%. Pressured profits are the purest sign that Procter & Gamble has to unload additional brands to run its business more efficiently. Further, it signals that frequent discounting, which now extends to websites such as Wal-Mart (WMT - Get Report) and Amazon (AMZN - Get Report), is a problem P&G will have to solve. As Taylor likely moves to shrink P&G's portfolio even more to boost profits, he could expand upon the company's ongoing restructuring plan. In fiscal 2012, P&G initiated a cost savings and productivity plan that stands to trigger about $5 billion in pre-tax restructuring costs from fiscal 2012 to fiscal 2017. P&G has since been aggressively reducing overhead and non-essential related employee positions. "We're driving cost of goods savings well above our original target run rate of $1.2 billion per year with $1.6 billion of savings expected this fiscal year, 33% ahead of target," pointed out P&G CFO Joe Moeller at the June 11 Deutsche Bank Global Consumer Conference. Taylor may want to keep a bit of wisdom in mind from his departing boss as he assumes the corner office at P&G. "When we place the consumer at the center of everything we do and we build consumer preferred brands and products that deliver better consumer experiences and better consumer value, we put ourselves in a position to win," said Lafley at the Consumer Analyst Group of New York (CAGNY) conference on February 19. Assuming Taylor heeds that wisdom, he is likely to step up R&D spending, which has been stagnant at $2 billion the past three years, in five major brand -- Pampers, Tide, Gillette, Head and Shoulders and Olay. Also, a greater emphasis on product development and marketing is likely to be placed in the China market, where P&G has stumbled and where Taylor has in-depth experience. If only William Procter and James Gamble could see their creation now.